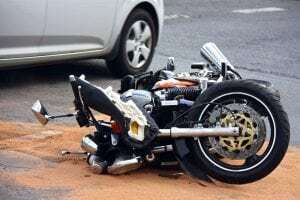 Buffalo, NY (March 28, 2019) – On Wednesday night, March 27th, authorities responded to a call concerning a collision between a vehicle and a motorcycle. According to police, the accident was reported to have happened at the intersection of Tonawanda Street and West Street at approximately 6:30 p.m. Emergency medical crews were dispatched to the crash site along with local law enforcement in order to evaluate the accident and render aid to any victims. Paramedics at the scene attended to the motorcyclist, who was stated to have suffered at least minor injuries. The victim was immediately transported to Erie County Medical Center to be treated. The specific condition of the victim has not been reported at this time as this is currently a developing story. Authorities are actively conducting a thorough investigation into the events that led to this incident. At this time, our most genuinely heartfelt sympathies are wholeheartedly extended to the injured party, first and foremost. We currently maintain our highest hopes for the victims’ full recovery. Motorcycle accidents in New York are often catastrophically injurious or fatal, particularly those which occur at night or at a high rate of speed, since there is little protection between the vehicle and the cyclist. While it can be difficult, it is important for a victim to understand that they may have significant rights moving forward. If you have sustained serious injuries in a motorcycle accident due to no fault of your own, please don’t hesitate to call 212-779-0057 today.